Taking good care of your brushes is absolutely essential if you want to have clean, crisp linework and brushes that last more than one gig! 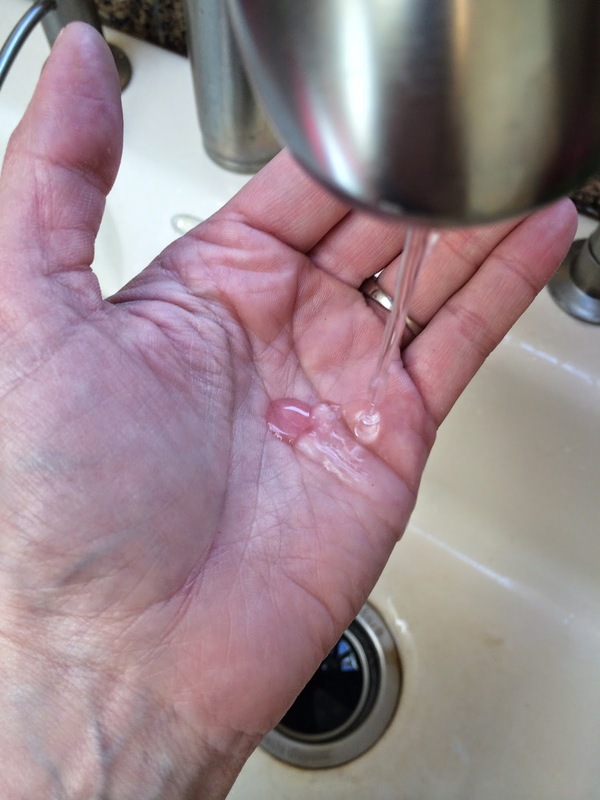 First, pump a small amount of liquid hand soap into your palm. Next, add just a tiny bit of water. 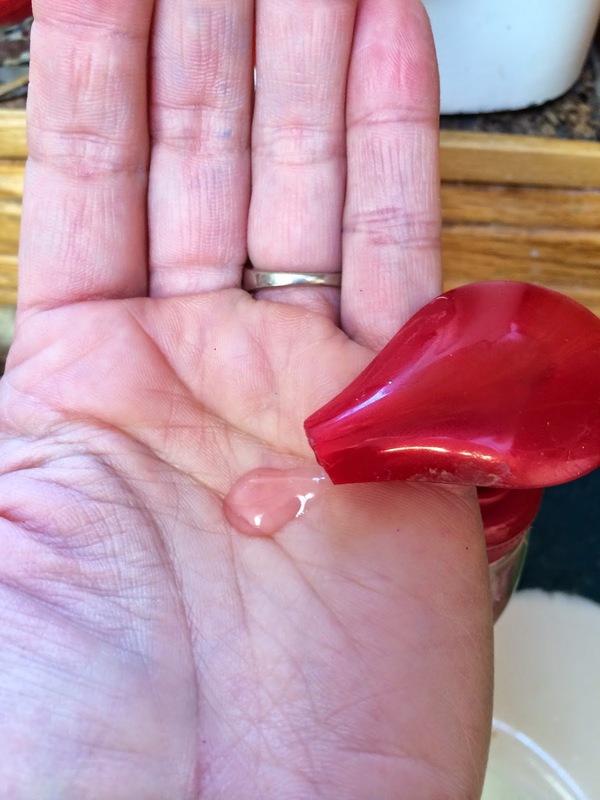 Now, swirl your brushes around in your soapy palm in a circular motion. Rinse the brushes...it doesn't hurt to repeat this process either, until your soap and water are clear in your palm. It's always a good general rule when using a brush to avoid getting any paint so far into the bristles that it touches the ferrule. 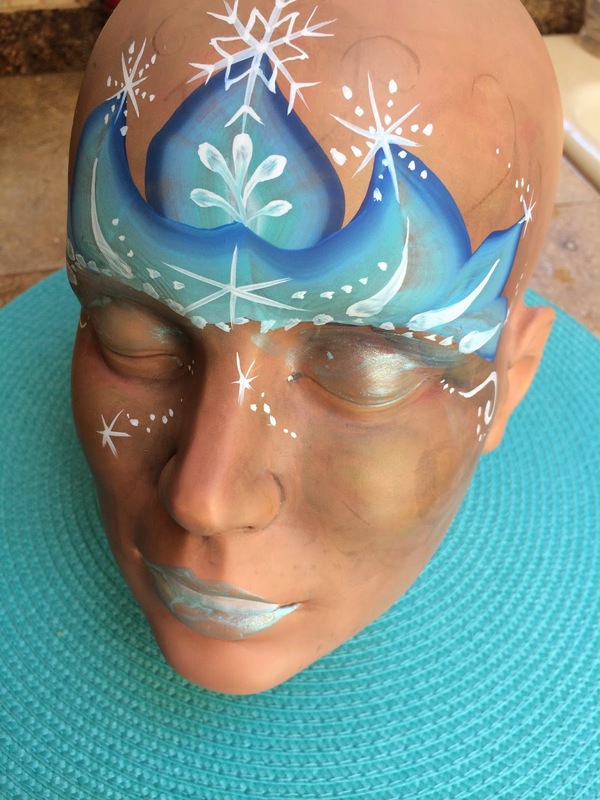 However, in our industry and the speed with which we work, this can be almost impossible for face painters. 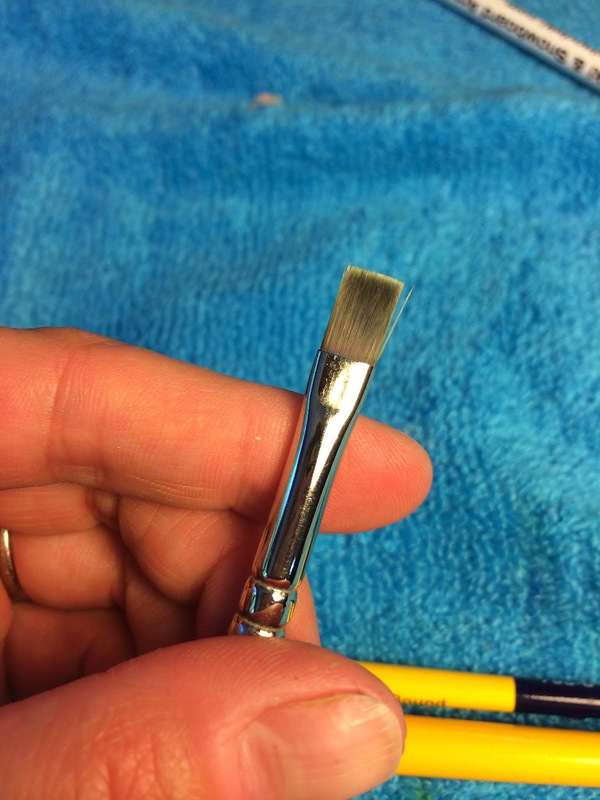 If you find that you have paint up inside the base of the bristles and the ferrule, after you do one cleaning and rinsing of your brush, add some more soap and water again. Then, with the brush pointing up, firmly grasp the tip of your brush with your fingertips, and the handle with your other hand. Work the soap and water down into the base of the bristles and the ferrule by moving the handle in a circular motion, as if you were cranking a fishing reel. You'll see the soap work it's way down into the ferrule, while the spinning motion will scrub the bristles together, loosening paint. 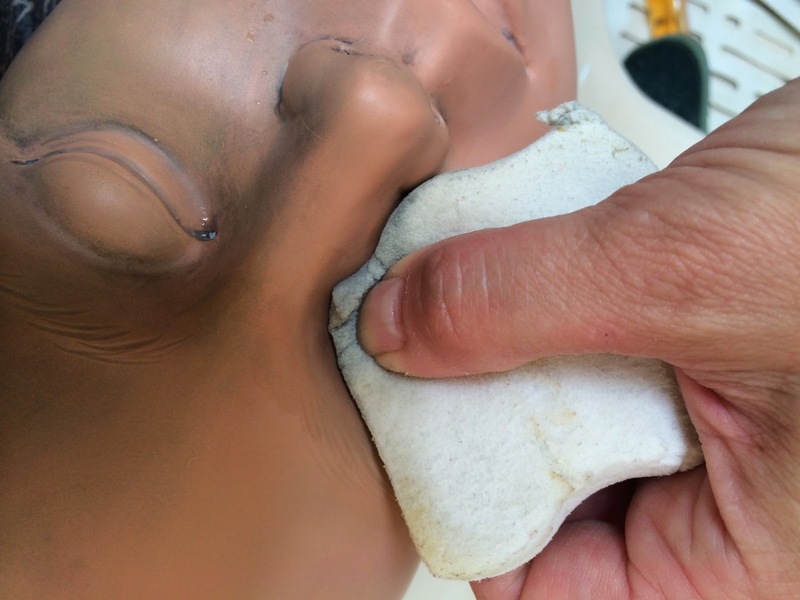 Now, thoroughly rinse the brush to get the paint and soap out of the ferrule. Once your brushes are clean and rinsed, gently dry them and squeeze excess water out of the bristles with a towel. 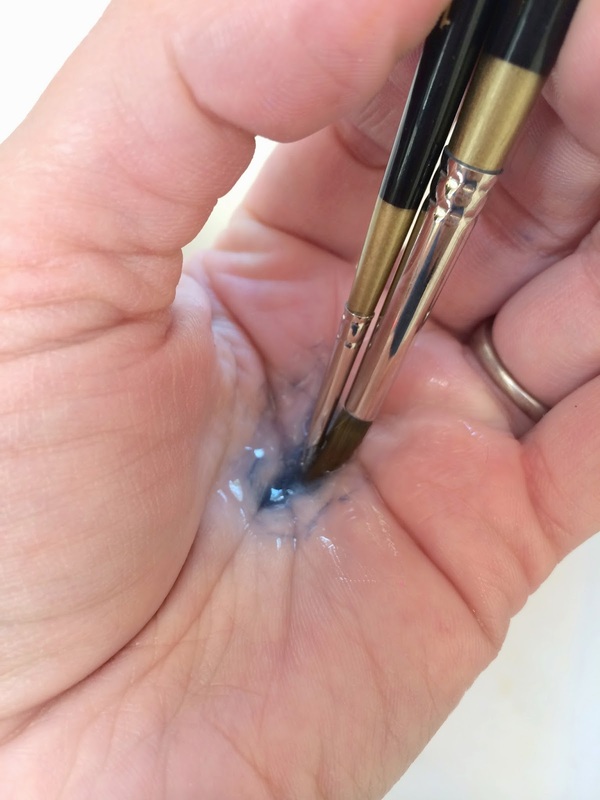 This next step is really important, and critical for keeping a nice point to your brushes. 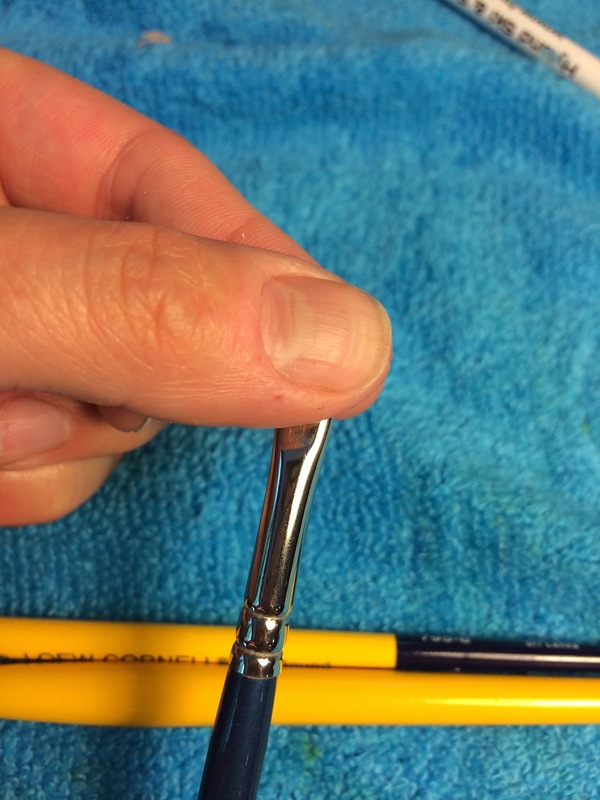 Grasp the base of your bristles with your fingertips, right where they come out of the ferrule. 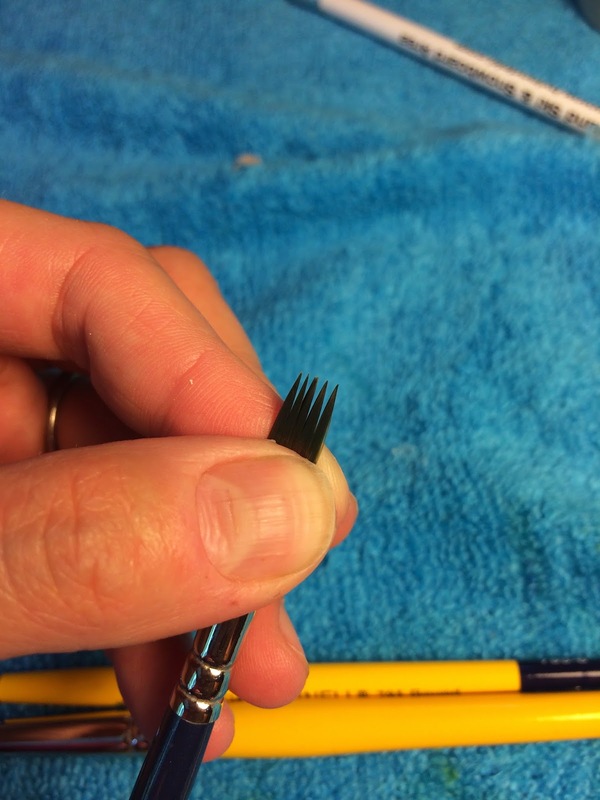 Pull the brush back while you squeeze and re-form the bristles into a nice point. Clean, formed bristles, ready to air dry. Do the same with your flat brushes, only with these you will press them flat as you pull the brush back. Now, lay them FLAT to dry. I lay mine on a towel. 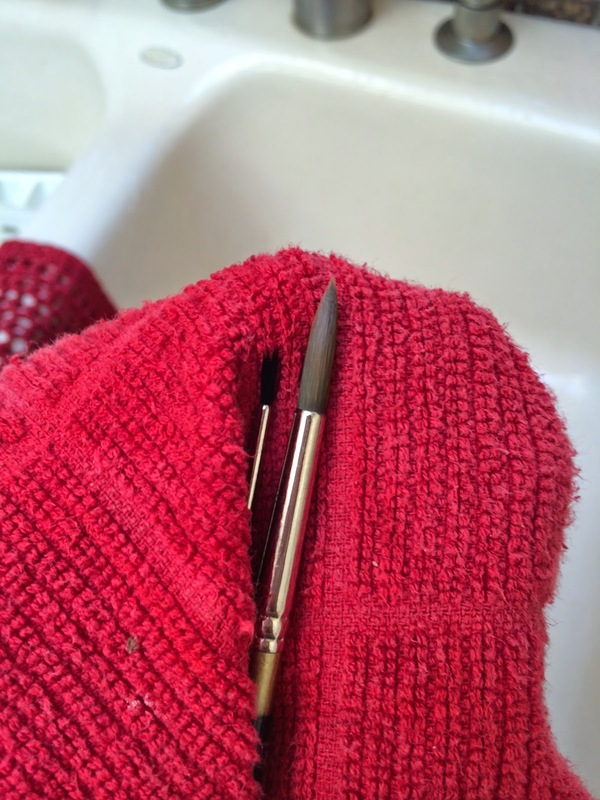 Never store them with the bristles pointing up while wet. This allows the water to seep down into the ferrule, eventually loosening it from the handle and sometimes even rotting the handle. Better yet, you can even hang them upside down to dry. 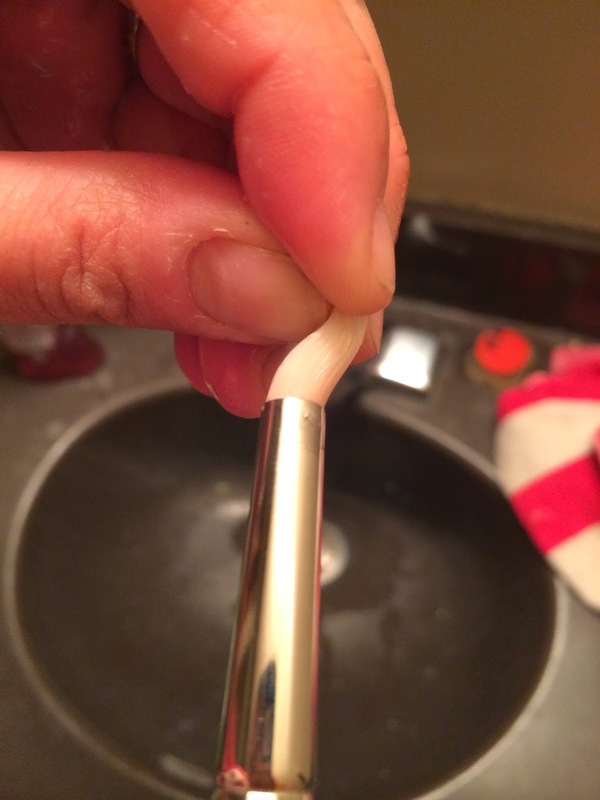 This draws the moisture down and out of the bristles. We actually carry a wonderful little Brush Well made by Loew-Cornell ($6 on Paintertainment.com), which not only stores your brushes safely so that the bristles aren't touching anything, but the foam that holds the brushes and the string attached also allows you to hang the entire container upside down for drying. Once they are fully dried, they are safe to put away in your storage container of choice! 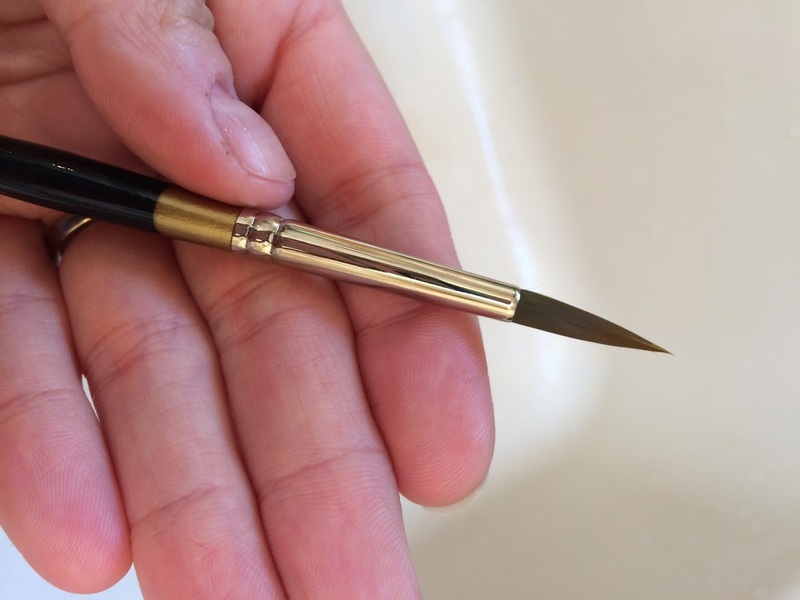 Or, if you use the brush well, simply screw on the lid and you're ready for your next gig! Does your practice head stain? Welcome to the club!! 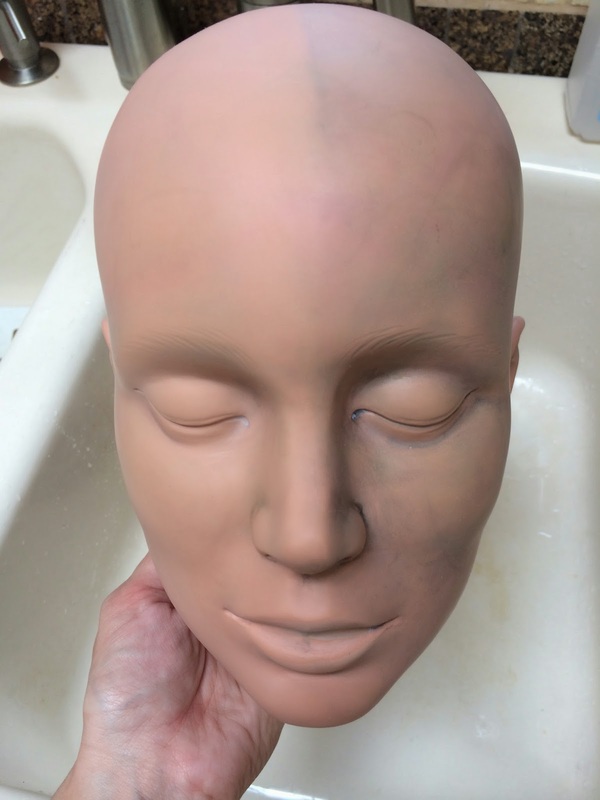 I made the mistake of assuming that everyone already knew that ALL practice heads stain, and realized this was a mistake when one of my wonderful customers sent me an email, unhappy with her practice head because it became stained. 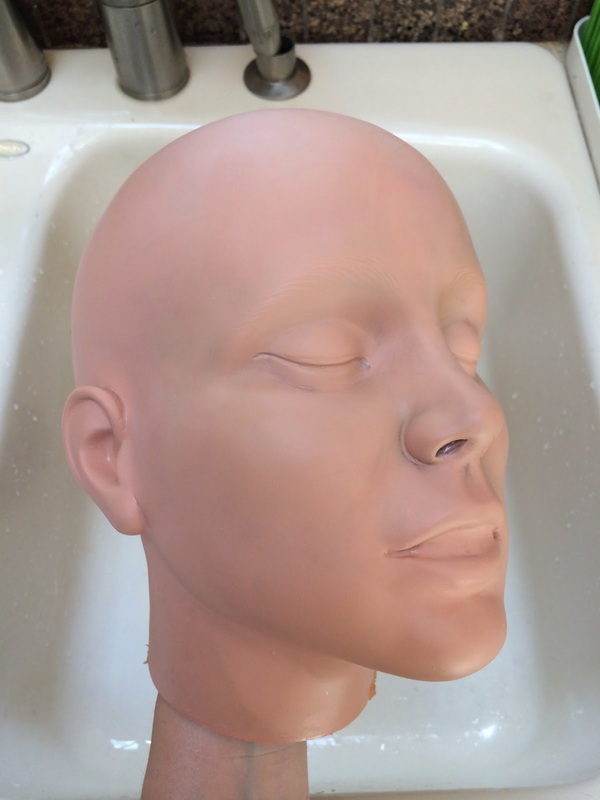 So, to correct my mistake, I have designed my own informational sheet about practice head care and cleaning, since the manufacturers have neglected to do so! You can download it for free, right here! 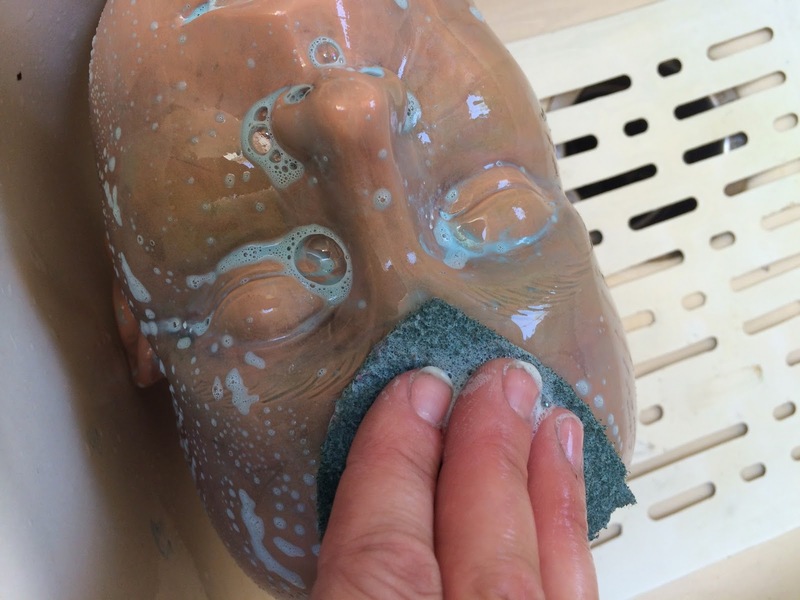 AND, I am doing this post to let everyone know how to take care of your head and what works (for me) to get it cleaned up! Coat your head with hairspray. It doesn't matter what brand. People say the cheapest brands work just as well. The key here, I hear, is to let the hairspray dry thoroughly between coats, and before starting to paint. I'm guessing that more coats will equal better protection. But I would also think that the more water you have in your paint, the less effective hairspray will be. However, any precaution will probably help! Lather it with liquid soap after use. Try not to leave the paint stay on for days on end if you can help it. After you've painted on it, but BEFORE you let any water touch your head to clean it, lather it up with liquid hand soap. Any kind will do. 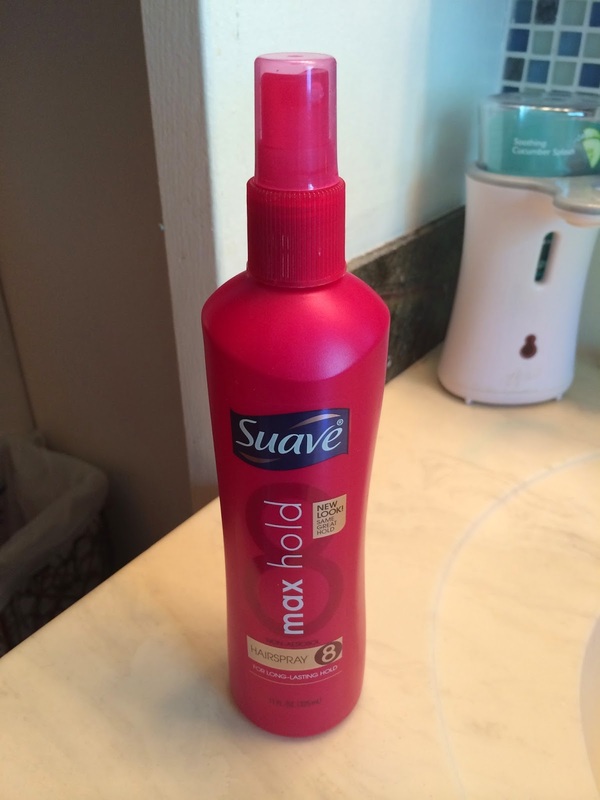 I am using Softsoap. 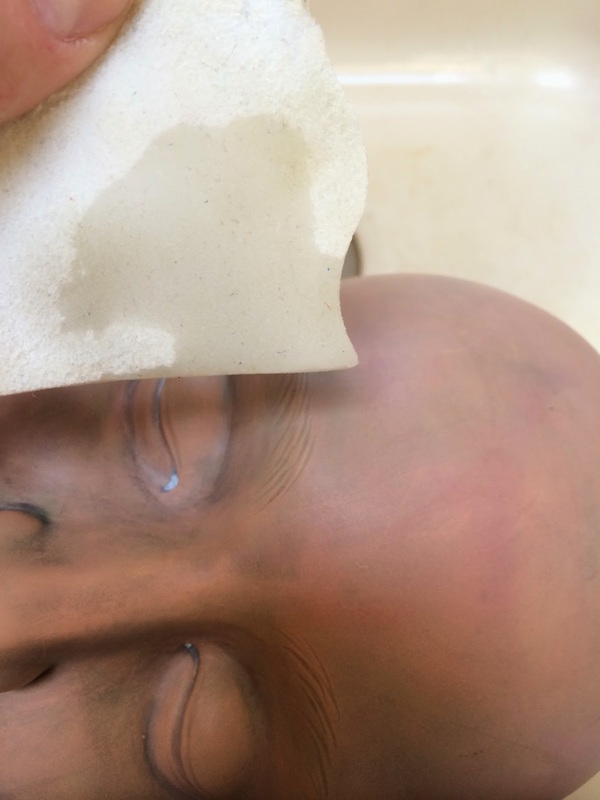 For whatever reason, water somehow seems to set the paint on the plastic when rinsed first, so do this to lift the paint off first. Put some soap on the painted areas and rub it around with your fingers until you've lifted off all of the paint. THEN scrub & rinse it with water. 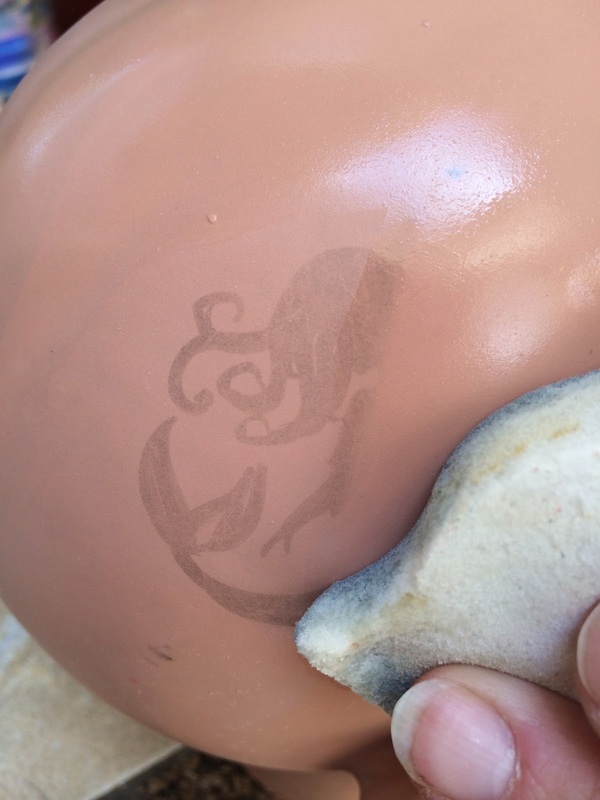 Here you can see the ghost of a mermaid idea I was working on, stained with Wolfe black. I have tried oh so very many of these (aside from the specific soap brands that weren't in my area), and ONE worked, really well. 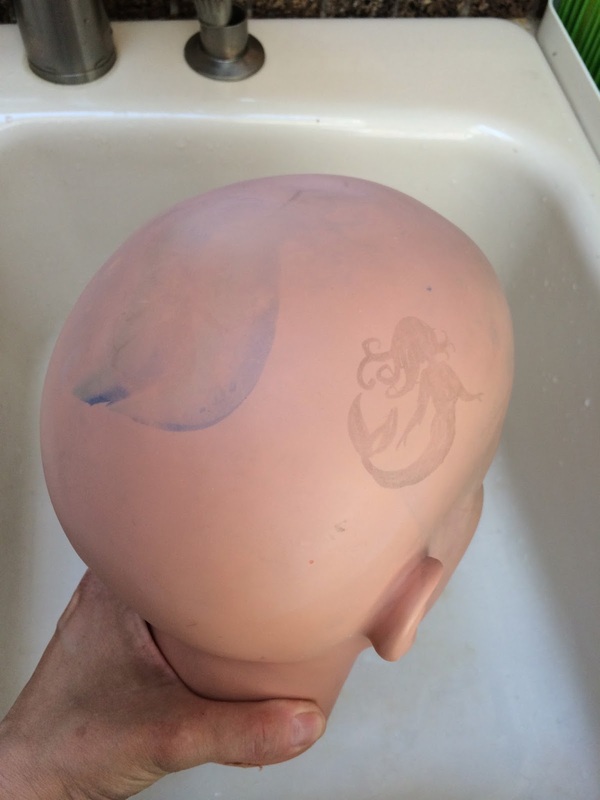 Like, shockingly well, considering how many YEARS the stains have been on my Mehron practice head. I'm talking stubborn, well-known stainers like Wolfe black, TAG teals and pinks, and Paradise Brilliant blues. 91% Isopropyl Alchol and a Magic Eraser. I don't know why I didn't try this sooner...probably because the huge list above of possible solutions was too overwhelming to eventually land on the right one. 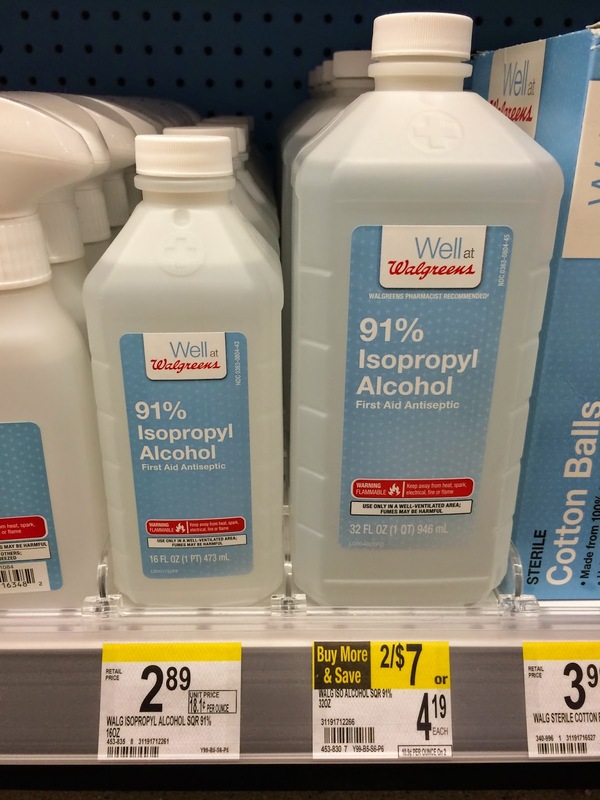 Your alcohol has to be 90% or higher. You can find this at your local drug store. In some states you will have to ask a pharmacist to get it from behind the counter or order it. In my town, it was right on the shelf in the first aid section at Walgreens. Mr Clean Magic Erasers can be found just about anywhere in the cleaning supplies. You can also often find generic store brands that work just as well. 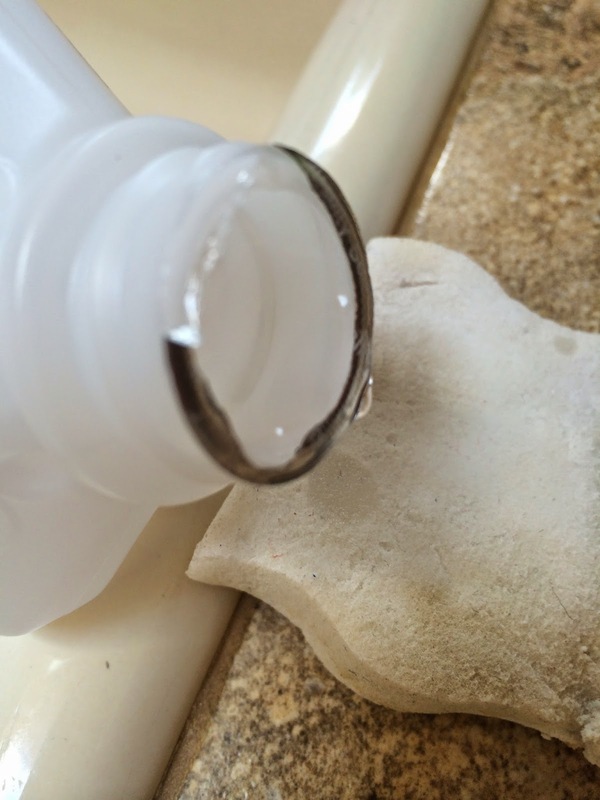 Pour a little of the alcohol on your Magic Eraser to wet it. Rub and scrub your head. Use a circular motion, an angular motion, a linear motion...whatever motion floats yer boat! Wow, this really worked for me, with very little effort! Look at how this Wolfe black stain (above) just wipes right off! 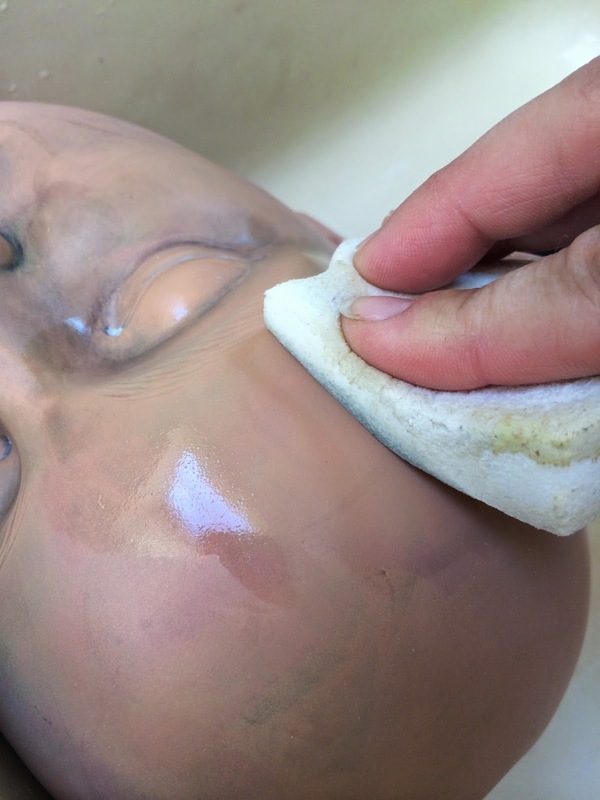 So how do you get the crud out of those little cracks in the eyes, nose and mouth? I pressed my wet sponge into the cracks, leaving some alchocol and Magic Eraser magical goodness in the cracks. Then I took an old toothbrush and scrubbed the magic around. This got most of the gunk out of the cracks. Check out this shot where I have used this method on half the head, so you can see the before and after. Amazing, huh?! I really didn't think this was going to work...just like every other method I have tried. But, it really did! Yes, this is the SAME head!! Can you believe it?! Remember, the stains on my before picture were there for years. They are also there after I tried pure acetone nail polish remover, mineral spirits, rubbing alcohol, an overnight soak in coconut oil, olive oil, Barkeepers Friend, and just about every other cleaner and scrubber in my house. So there you have it, folks! 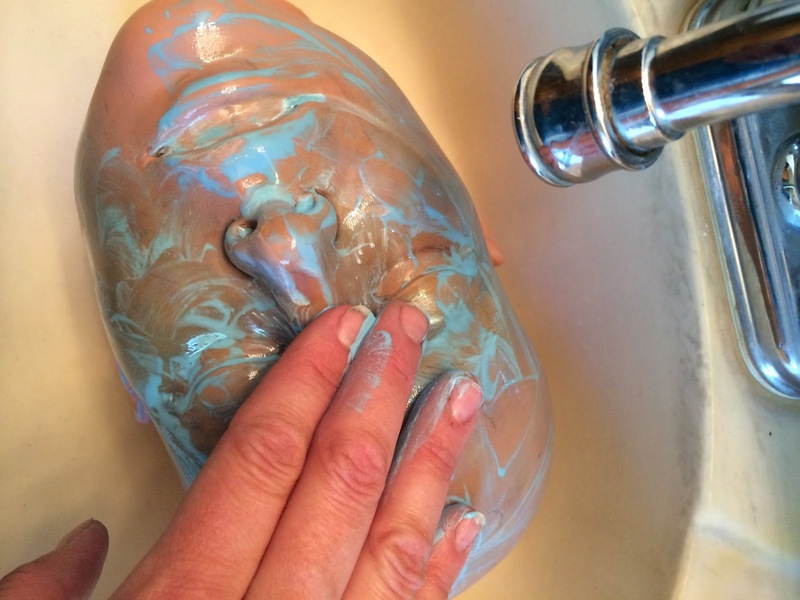 If you are frustrated with your stained head, give THIS idea a try...it just might be the one that works for you, too!! Click here to see my post on how to clean your brush tub!